This year, British Columbia enacted the Employment Standards Amendment Act, 2018 (ESA). The new law expands employees’ pregnancy, parental and compassionate care leave rights and establishes two new leave entitlements. The expanded leave protections better reflect the self and family care-giving needs of BC’s working families. The law also allows employees to take advantage of recent changes to federal Employment Insurance maternity, parental and compassionate care benefits. How did Employee Leaves Change under the ESA? 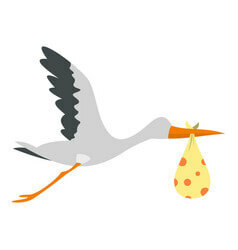 Pregnancy Leave Pregnancy Leave could begin up to 11 weeks before the child’s expected birth date. Pregnancy leave taken after giving birth lasted up to 6 weeks. Pregnancy leave may begin up to 13 weeks prior to the expected birth date. Pregnancy leave lasts up to 17 weeks. Parental Leave Birth mothers could take up to 35 weeks of unpaid Parental Leave. Birth mothers may take up to 61 weeks of unpaid Parental Leave immediately following Pregnancy Leave. Non-birth parents and adoptive parents could take up to 37 weeks of unpaid Parental Leave within a 52-week period. Non-birth parents and adoptive parents my take up to 62 consecutive weeks of unpaid Parental Leave within 78 weeks (18 months) after the birth or placement of the child. Compassionate Care Leave An employee could take up to 8 weeks of unpaid Compassionate Care Leave within a 26-week period. An employee may take up to 27 weeks of unpaid Compassionate Care Leave within a 52-week period. Disappearance of Child Leave None An employee may take up to 52 weeks (one year) of unpaid leave for the crime-related disappearance of the employee’s child (under 19 years of age). Death of Child Leave None An employee may take up to 104 weeks (2 years) of unpaid leave for the death of the employee’s child (under 19 years of age). What Else Should I Know About These Employee Leaves? Each leave is job-protected. An employer may not terminate an employee or change a condition of employment, without the employee’s written consent, because of the need to take leave. When the leave ends, the employee must be returned to his or her former position or to a comparable position. During the leave, employment is considered continuous for the purposes of calculating annual vacation and termination entitlements, as well as for pension, medical or other benefit plans. An employer must continue to make payments to any such plans unless the employee chooses not to continue with his or her share of the cost of a plan. The employee is also entitled to all increases in wages and benefits that the employee would have received if not on leave. Should I Post a Notice of the New Leave Provisions in the Workplace? Employers are encouraged to post the new leave provisions so that employees are aware of their leave entitlements and can promptly communicate with their employers when health or family responsibilities necessitate an extended leave. Employers with an existing British Columbia All-On-One Labor Law Poster can use the 2018 British Columbia Employee Leaves Peel ‘N Post sticker to update their posters to reflect the new law’s benefits in one easy step. New British Columbia All-On-One Posters have also been updated to include the new leave provisions.